Did you know that Eurostar are celebrating 20 years of travelling between London and Disneyland Paris? That’s over 7 million passengers transported from the UK to Marne-la-Vallée – the gateway to Disneyland Paris! 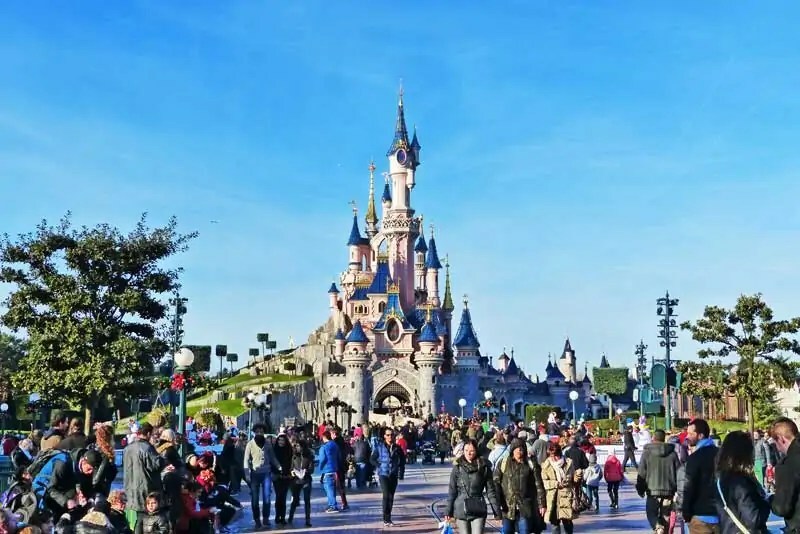 Tickets for Eurostar direct to Disneyland (from London St. Pancras, Ashford International or Ebbsfleet International) start from £36* one-way for adults and £25.50 one-way for children aged between 4 and 11, based on a return journey. Children under 4 travel for free. The journey takes 2 hours and 40 minutes, and before you know it you’ll be walking towards the very pretty Sleeping Beauty Castle in the Disneyland Park! Disneyland Paris is the most visited attraction in Europe, and has over 50 attractions in its two theme parks – Disneyland Park and Walt Disney Studios – plus the Disney Village with shopping, entertainment and dining (and the sweetest little Christmas Market during the holidays!). For somewhere to stay, there are 7 Disney hotels, and several partner hotels too. * Fare per person, £36 one way based on a compulsory return trip. A £3 credit card fee may apply. During seasonal changes in demand for Disneyland Paris, direct trains are reduced to four times a week in term time and five times a week in the summer holidays. In January and February, when there is the least demand for bookings, Eurostar won’t be running direct trains to Disneyland® Paris. I remember the footage on the news of the English and French construction workers meeting for the first time; having bored a tunnel under the English Channel to join the UK and France with trains. What an enormous feat of engineering. As a little girl, driving through one of London’s tunnels with my dad, I would ask if they had to drain the water out of the River Thames to construct tunnels – oh the innocence of childhood! However, my adult mind still boggles that there is a tunnel under the Channel (I know they didn’t drain the sea!!) transporting passengers from our home island to mainland Europe. The first time I went on the Eurostar was in 2010 – my husband and I went to Paris for our 1st wedding anniversary, with a cheeky visit to Disneyland Paris for the day. We also use the train to get to Bruges for my husband’s 40th, and more recently took the Eurostar to Marne-la-Vallée for a Disney Christmas! Eurostar are now accepting bookings for Christmas 2016, and if you are looking for a bit of Disney Magic closer to home, then, I can’t recommend a trip to Disneyland Paris with Eurostar enough. Make sure you check out my top tip over on the Eurostar website! To entice you into a break at Disneyland Paris – at Christmas or otherwise – why not take a read through my trip reports from our last visit to the parks? It truly was one of the most Magical Christmas Days we’ve ever had! Disclosure: In partnership with Eurostar.